The first episode introduces us to all the characters and helps establish the setting to a great degree. Starting from a prologue-ish sequence where we see the Independents fighting off against the Alliance forces, we meet all the characters one by one and start to learn about each and every one of them. This could very well be said to be an ensemble episode given how many characters are introduced, and how many of them make it all the way through to the end. Nathan Fillion as Captain Malcolm Reynolds is the stand-out performance of the episode. The attitude, the mannerisms, the snark, it all falls together really well with him and every scene with him is an entertaining one, whether it is a serious scene or one with a bit of hilarity. The same goes for Gina Torres as Zoe Washburne, a war-time friend of Malcolm Reynolds and now his second aboard the Serenity. As with Fillion, she manages to balance the kickass with the humour really well, and is definitely a favourite character. All of them are in fact. Jewel Staite as the engineer Kaylee was a stroke of genius as far as I’m concerned, because of all the warmth that her character brings to this episode in particular, being someone who welcomes everybody and helps them all connect. The story is fairly straightforward and not all that remarkable, but the key is in how a story like this is executed. I was easily able to connect with the characters from the get go, and to become invested in each and every one of them, minus the villains of course, who were a bit thin on the characterisation and the motivation. Then again, the villains here were all small fry and so unimportant in the grand scheme of things. That is only until we get to meet the Reavers however, a group of inbred space barbarians who practice cannibalism and are very much like pirates. Knowing what I know about them, having seen the entire show before, as well the movie, the glimpse we get of them is tantalizing and certainly a big hook for future stories. There are some good twists and turns in this pilot with some good pacing throughout, and while it doesn’t exactly leave you amazed, it made me get interested in everything all the same, and gave me more than a handful of reasons to tune in for the second episode. 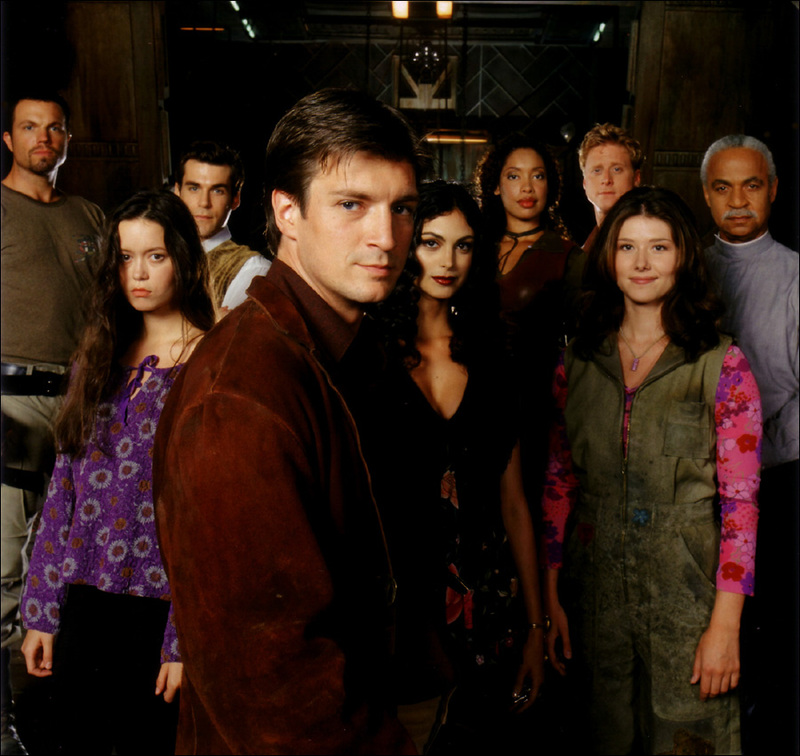 The second episode continues some of the subplots introduced in the pilot and it gives us a full-on look at how the crew of the Serenity sometimes takes contract jobs from criminals. They all live at the fringe of civilization and at the fringe, life is pretty damn tough. That is a concept that this episode hammers home, because the goods that the crew have to steal are humanitarian supplies earmarked for use at a fringeworld colony. In the pilot, we saw that while Malcolm Reynolds is a tough son of a gun and often ruthless as well to a degree, he is also honourable and he believes in doing the right thing, even if that means giving the boot to his livelihood and that of his fellow crewmates. That is another concept that is at the heart of this episode. In that respect, the episode and in fact the series as well, takes on a more of an… educational bent. It shows us the seedy underbellies of life, and makes the reader confront the harsh realities, even as the characters themselves are forced to confront them. And there certainly are no easy way outs here, because a job is a job and reneging on the promise of a contract with a criminal boss unfulfilled has consequences, which the crew must also confront. What I found really well done in this issue was how Simon begins to bond with the crew and how he steps up to offer solutions when unasked for, taking initiative as it were. It certainly creates a few hilarious moments with Adam Baldwin’s character Jayne, who is the muscle for the crew and a bit of a loudmouth and a simpleton as far as thinking of things beyond the obvious goes. And there’s also the subplot involving Shephard Book and Inara. The former a preacher and the latter a Companion, a respected prostitute who enjoys high status within the Alliance as a legitimate businesswoman in her own right. From the bits of dialogue we see in the pilot and this episode here, it is quite clear that Shephard don’t really think much of Companions, less so for their professions, but Book and Inara seem to be developing a bit of a mutual respect for each other and perhaps even becoming friends on some level. All in all, the relationship dynamics between all the members of the crew are in full effect with this episode and it makes for a really enjoyable 45 minutes since this is exactly the kind of stuff I was looking for in a second episode. Joss Whedon paces the episode fairly well, both in terms of the story (co-written with Tim Minear) and the direction. He gives us ample time to get familiar with the characters, to once again be invested in their stories, whether it is Jayne or Shephard Book or Inara or anyone else. Can’t wait to “see” what the next few episodes have in store. Posted on October 6, 2013, in Firefly, Review Central, TV Show Reviews and tagged Adam Baldwin, Browncoats, Firefly, Jewel Staite, Joss Whedon, Kaylee, Malcolm Reynolds, Morena Baccarin, Nathan Fillion, Review, Review Central, River Tam, Ron Glass, Science Fiction, Sean Maher, Serenity, Space Opera, Space Western, Starship, TV Show, TV Show Reviews. Bookmark the permalink. Leave a comment.